Music by Martin Lingnau & Ingmar Süberkrüb. 12-year-old Luis is often lonely. He doesn’t have any friends and his father, UFOlogist Arnold Sunday, doesn’t have any time for him. He’s obsessed with proving the existence of intelligent life in space, spends all night at his telescope and all day sleeping. The principal thinks Luis is neglected and should be sent to a home. Then, three goofy aliens crash on Luis’s doorstep: Mog, Nag and Wabo are in search of a massage mat they saw on earth’s home shopping TV, the NubbiDubbi. Luis is thrilled, quickly befriends them and hides them from his dad, who is convinced aliens are dangerous and should be shockfrosted at first sight. When boarding school director Miss Diekendaker shows up and wants to take Luis away, Luis and his alien friends have to come up with a plan to contact the mother ship and get the ETs rescued. Luis is even tempted leave his home planet and go explore the galaxy with his cool new friends. 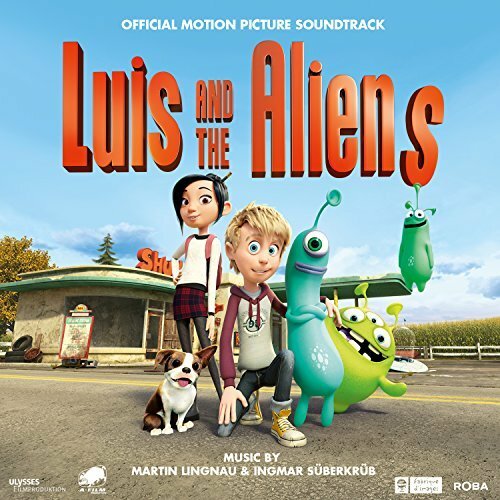 The movie soundtrack of Luis and the Aliens will be released on May 25, 2018 by Cinetunes.